Established in 1998, the COMSATS Institute of Information Technology (CIIT) was accorded a charter to award degrees by the Government of Pakistan in 2000. The CIIT is a multi-campus institution—located at Islamabad, Abbottabad, Lahore, Wah, Attock, Sahiwal, Vehari and Jaffarabad, Balochistan. 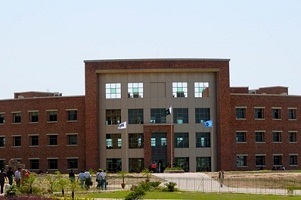 To provide easier access to higher education, especially to people living in underdeveloped or remote areas of Pakistan, CIIT launched a ‘virtual’ campus in 2012. All CIIT campuses are ISO 9001 certified. Since its establishment, the CIIT has become one of the premier institutions of higher learning in the country, imparting education in the fields of information sciences and technology, engineering, management, architecture and planning, and basic sciences. The President of the Islamic Republic of Pakistan is the Patron and the Minister for Science and Technology the Chancellor of the Institute. CIIT’s Rector is the Institute’s Chief Executive and Chief Academic Officer and manages the day to day affairs of the organization in accordance with general policy guidelines laid down by the Board of Governors. CIIT currently has an enrolment of over 27,000 students in 86 degree programs, with a faculty numbering over 2,400, including over 700 PhDs at its seven campuses. In the short time since its inception, the Institute has produced more than 25,000 graduates. The CIIT runs an acclaimed Faculty Development Program, regarded as a flagship initiative amongst public sector academic institutions, which aims at establishing a sustainable pool of quality academicians and researchers through placement of its faculty and staff in universities internationally to pursue higher studies. At present, under the auspices of this program, there are 520 faculty and staff members of CIIT enrolled in some of the best universities in the world. CIIT has produced more than 2,500 publications in reputable scholarly and research journals in previous years. The Higher Education Commission of Pakistan has ranked the CIIT amongst the top in Information Sciences and Technology and in the top ten overall amongst the 153 institutions of higher education in the country. Several CIIT faculty have received civil awards and citations conferred each year by the Government of Pakistan for notable and meritorious services to the country.